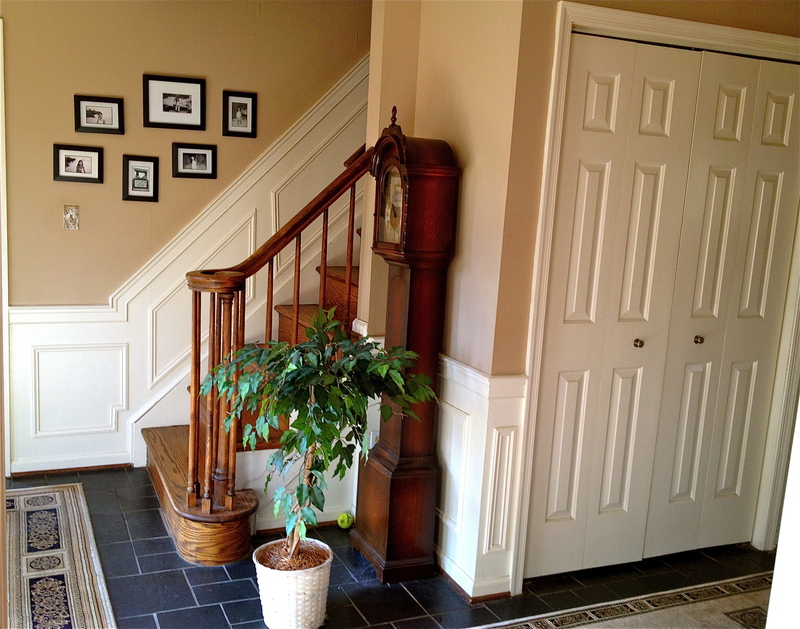 Your foyer offers the first impression of your home to all who enter. And mine was really boring. Not exactly the vibe I wanted to present to our holiday guests. 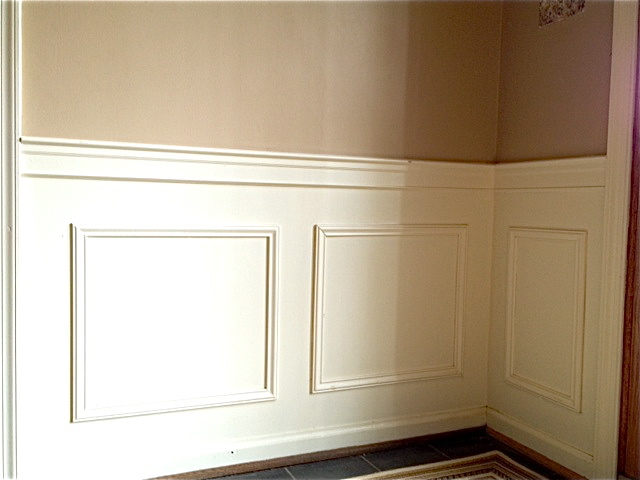 Wainscoting offered the perfect solution, adding a formal flair and breaking up the monotony of the walls. 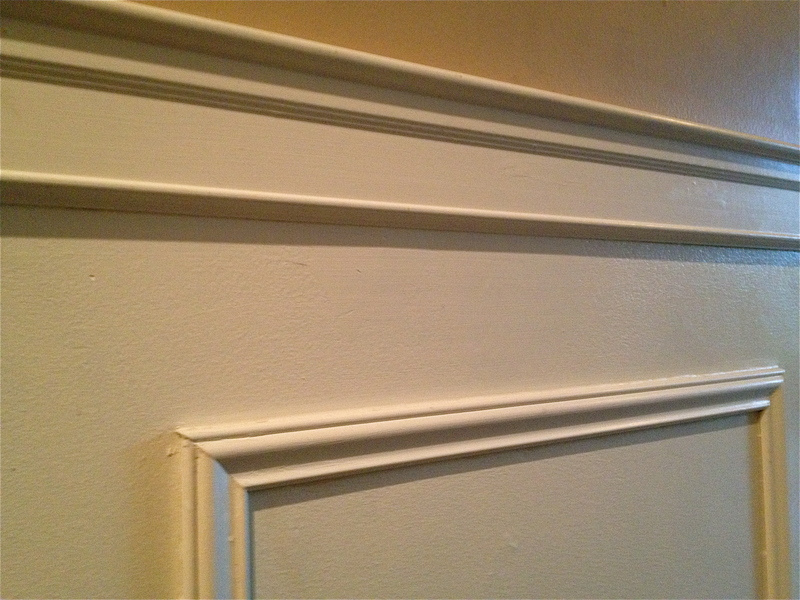 I cheated a bit with my wainscot, opting for a simple method to create the look of the formal wood panels. First, I nailed chair-rail moulding on the walls 36 inches from the floor. Be sure to use a level—a crooked chair rail can make you dizzy! Then using some rudimentary math, I determined the size and quantity of “boxes” needed for each wall, taking care to keep a uniform space between the boxes as well as between the chair-rail and the bottom trim. 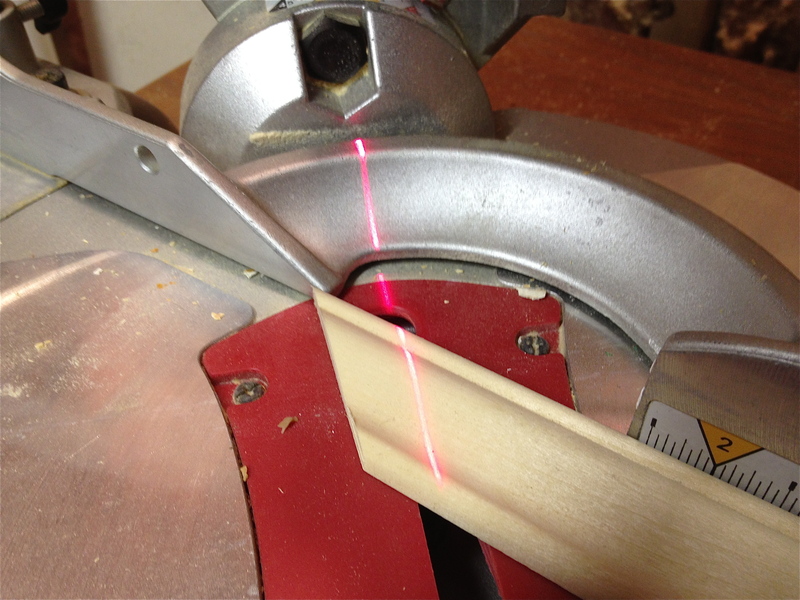 I used a level to draw the boxes on the wall with pencil so I could judge how they’d look and make any adjustments before I started cutting the wood. 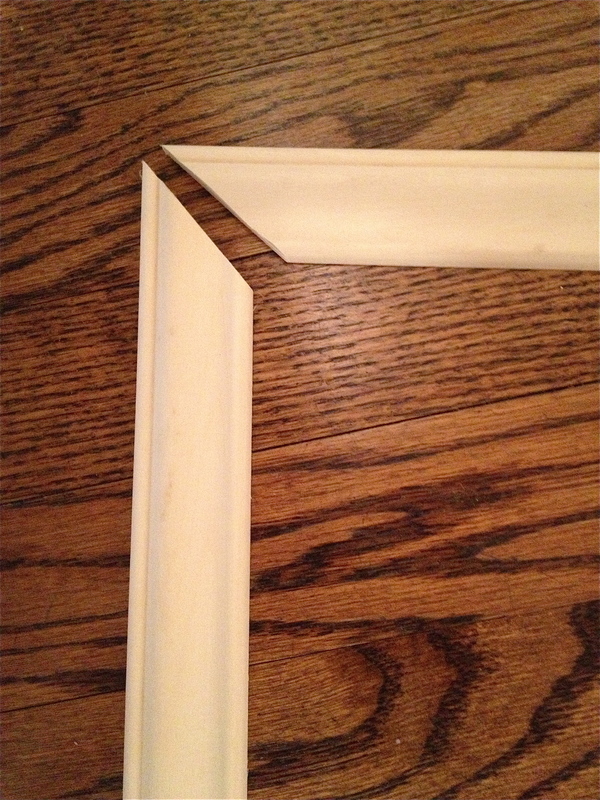 Using 1.5 inch trim moulding, I miter cut the ends at a 45-degree angle, forming picture frame boxes. 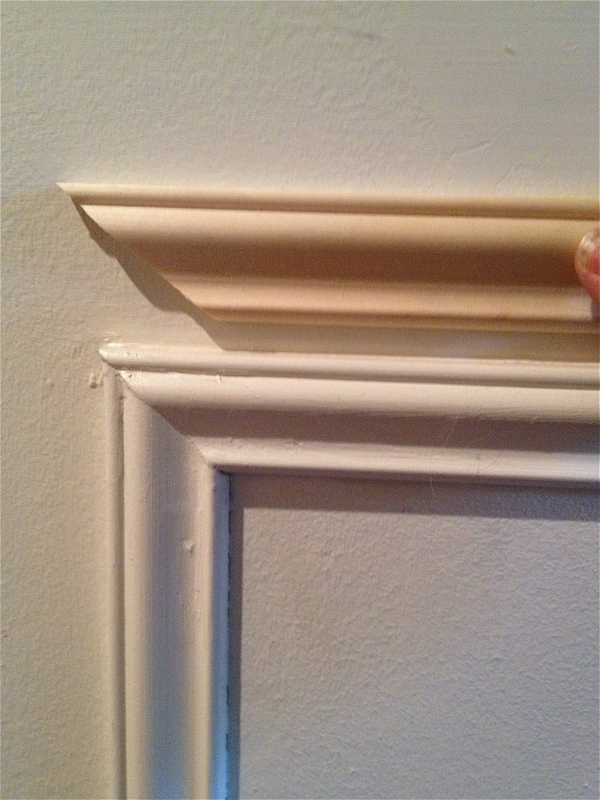 These trim pieces were placed on the wall with liquid nails and finishing nails, using the pencil-drawn boxes as a guide. 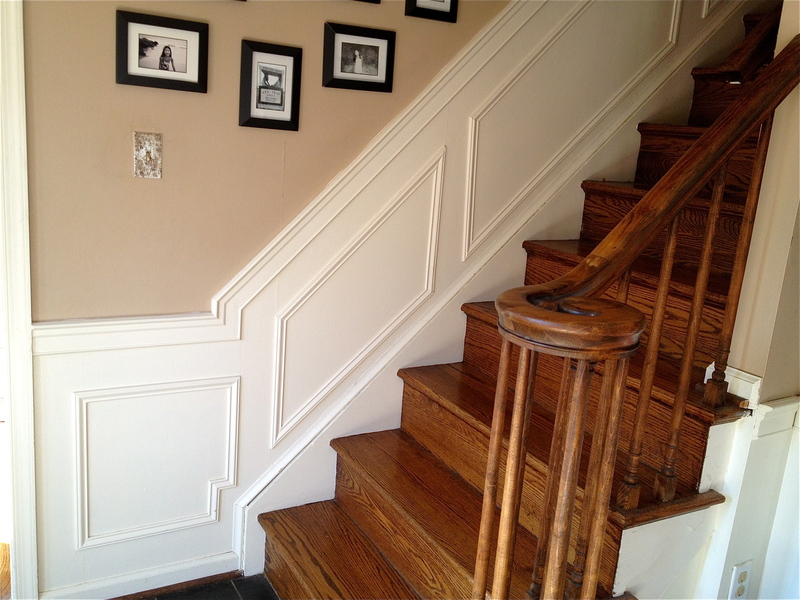 The picture-frame boxes provide the optical illusion of raised wainscot panels. I painted the chair rail and wainscot portion of the wall in Linen White, providing contrast to the taupe wall above. The finished foyer, in all its formal flair. Happy Holidays!